To the average person, concrete is all one hard and gray material. 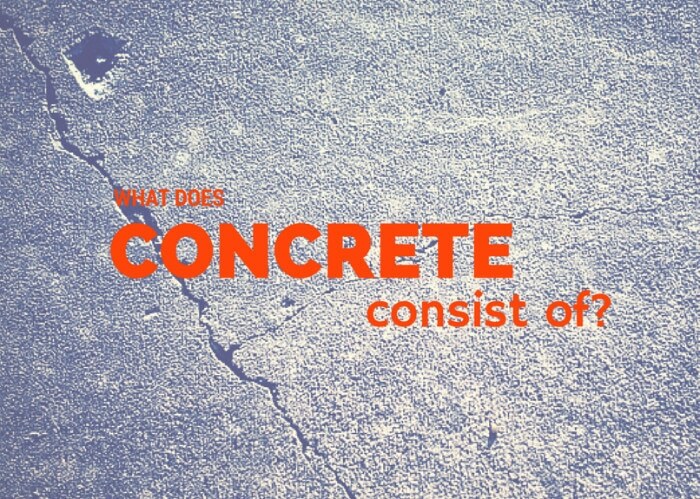 Despite what it might look like on the outside, different types of concrete actually vary greatly due to the ingredients and mixing methods used to create them. There are dozens of different types of specialty concrete, but most home and garden projects require just one of three common types. Learn about the differences between these three options to pick the right type of concrete for your next project to get the stability, strength, and curing speed you need. The concrete most people are familiar with is best described as standard concrete. It’s a blend of crushed stone gravel, Portland cement, sand or other fine particles, and water. The wet concrete is fairly thick when in the concrete mixer, but easy enough to spread and shape. It requires tapping or vibrating to shake air bubbles out of the mix so these voids don’t cause a crack or collapse later. The gravel and sand, also known as aggregates, are added to give the mixture strength and to reduce the amount of cement needed. Careful proportioning is necessary to prevent big gaps or excess shrinking as the material dries. Despite being a basic mix with average slump and strength, this type of concrete is very versatile. You can use it for all types of slabs that are at least two inches thick, such as driveways and sidewalks. Pouring it thinner will let it crack when weight is applied. It’s ideal for anchoring fence or deck posts, molding your own birdbaths, building rebar reinforced retaining walls, and other home projects. What about extra thin driveways and upright structures like free-standing poured walls? For these structures, you’ll need concrete with its own mixed-in reinforcement. This extra support is usually offered by rebar and wire mesh, but you can skip these additions by picking reinforced concrete mix. This product includes all the same ingredients of standard concrete, but tiny steel, glass, or plastic fibers are also added to the mix. These fibers mix to add strength to the finished structure, especially against lateral pressures. Liquid acrylic is also often added to bind the particles far tighter than usual. You can pour thin layers of this type of concrete without worrying about cracking. This makes it a smart material for in-ground pools, walls and upright posts, underground structures like tunnels and root cellars, insulated foundations with foam panels buried in the concrete, and big projects like bridges. The addition of fibers also help the concrete resist the damaging effects of freezing cycles and prevent excessive shrinking as the water evaporates out of the drying material. The third type of common concrete isn’t particularly strong, but it offers other benefits to the business and homeowner. The smooth and solid surface of standard or reinforced concrete causes water to gather and run off. This creates erosion and flooding problems, especially around structures that can sink or settle due to this extra moisture. Pervious concrete lets water soak through and into the ground below instead. The sand and fly ash found in other types of concrete is let out of the mix, creating gaps on purpose around the gravel aggregate. These openings drain water through for a driveway that doesn’t gather puddles. However, this concrete is quite fragile – it requires metal reinforcement and only works when poured over a supportive surface. Mix and match the different common types of concrete to create structures that last. With extra reinforcement for tough jobs and pervious mixtures to manage groundwater around your property, you can tackle all types of projects.